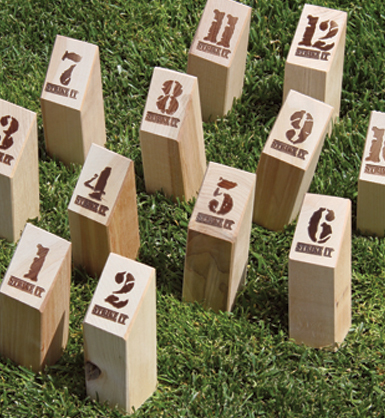 Celebrate the outdoors with this twist on a classic skittle game. 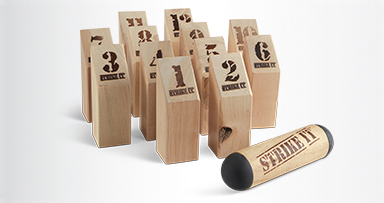 Use dexterity, strategy, and a bit of luck to throw the Striker Stick to make the pins fall and be the first to score 25 points. But watch out for the rubber ends of the Stick; it can go bouncing in silly and unpredicted directions! And throw carefully, because if you ever go over 25 points your score will be reset to 10! 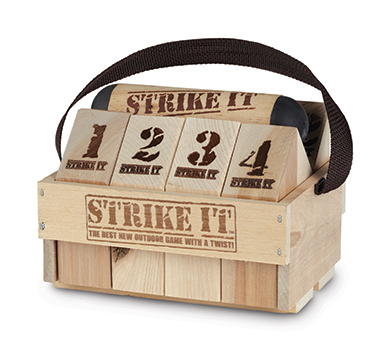 This beautifully crafted wooden game is a must for any outdoor party!